Tiny mod that tries to eliminate those kind of situations when "I wanted to hit the mob, not the grass". Now you can hit mobs behind the grass! This works on every block that have no collision box (i.e. you can walk through it) not only vanilla but also modded ones, e.g. grass, flowers, saplings and even cobweb. Must-have for modpacks that rely on combat mechanics. Vanilla clients can connect to servers with this mod installed. Finally, something to deal with those obnoxious baby zombies! I Still can break these blocks (Blocks without Collision Box)??? And... This only work with swords? Means that this is a server side only mod too? Makes sense, otherwise the override folder wouldn't have anywhere to go I guess. I don't manage to run this mod... Is there any known incompatibilities? I do not understand what I'm doing wrong.. If config option is set to true grass will not break and you will hit mob that is behind grass, if config is false you will break grass and hit mob. If there is no mob behind grass, you will break grass normally. Oh.. I haven't figure that in the mod description..
You say that as of 1.2.3, we have to set the config to true if we wan't the mod works (don't break grass), so being set to false by default the mod don't do nothing when installed (always break grass)? No way to never break grass with a weapon ? BTW when testing the mod (1.2.1) in my modpack in solo before making the server, I remember that I was able to "hit" the grass with a sword without breaking it, and there wasn't any mob near..
Just swords didn't break the grass but by hand or with hoe I could, that what I want.. I dreamed or that worked like that before? No right now there is no option to never break grass. And I am not sure if there will be one. 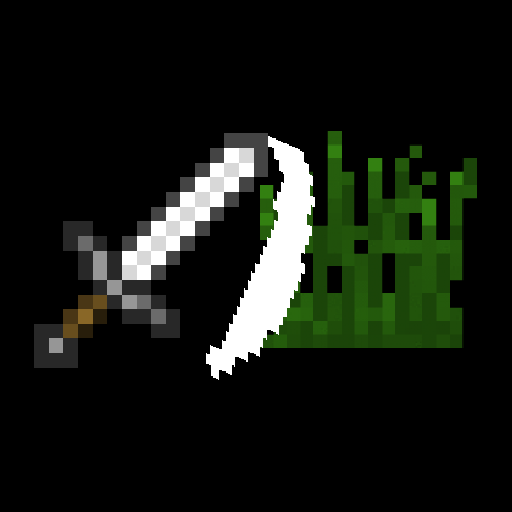 In vanilla you cannot break grass with sword in creative. Does anyone happen to know if there is a similar mod for 1.7.10, and what the name of that mod is? Despite what the overview states, the 1.10.2 version appears to require that the mod be installed client-side as well as server-side. Can this be fixed to be server-side only, as the overview states? This mod is amazing, one of those that you say "HOW COME THIS IS NOT IN VANILLA YET!?" You, man, are a real hero. As a side note, I would like that the description indicated that it not only work on grass, but any grass-like blocks, like flowers, saplings and lilypads, even modded ones.